Do you need a quote or estimate? Let us know what your need is. 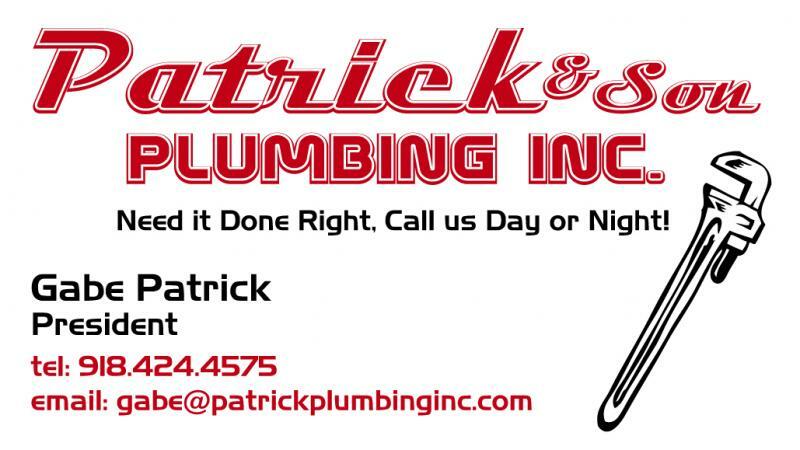 Whether it is general plumbing, a clogged drain, a new sewer line, a plumbing repair, a slab leak, a new water or gas line, a clogged toilet, an emergency, or any plumbing need, Patrick & Son Plumbing is here to serve the McAlester, OK and surrounding area.